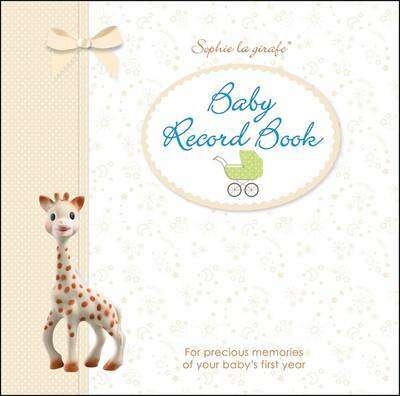 Record precious memories of baby's first year in Sophie la girafe: Sophie's Baby Record Book. This gorgeous, ribbon-tied Sophie the Giraffe keepsake book is perfect for new parents. Record baby's birth and family facts, write about favourite things and early routines, take baby's handprint and footprint, add a lock of baby's hair, and fill in first birthday and Christmas experiences. With pages for photographs of baby's first moments, Sophie la girafe: Sophie's Baby Record Book doubles as a gorgeous baby photo album. Covering all the key milestones from baby's first year, DK's beautiful Sophie la girafe: Sophie's Baby Record Book makes a wonderful new baby gift which can be cherished and enjoyed for life.